It pains us to write this, because littered throughout this post will be a misspelling. It’s subtle. A portion of you reading won’t notice it, but the other portion will. If you do notice it you’ll shudder from the very first utterance. Forgive us, as, you see, it’s a matter of national pride. However, we urge you that reading through this will be worth the arguably erroneous spelling. Whisky, There, we said it. It’s one of the most recognisable beacons of Scotland, alongside haggis, tartan, terriers and Annie Lennox. As Celtic brethren, the Irish and Scots see eye to eye often… except in this case of the missing ‘e’. 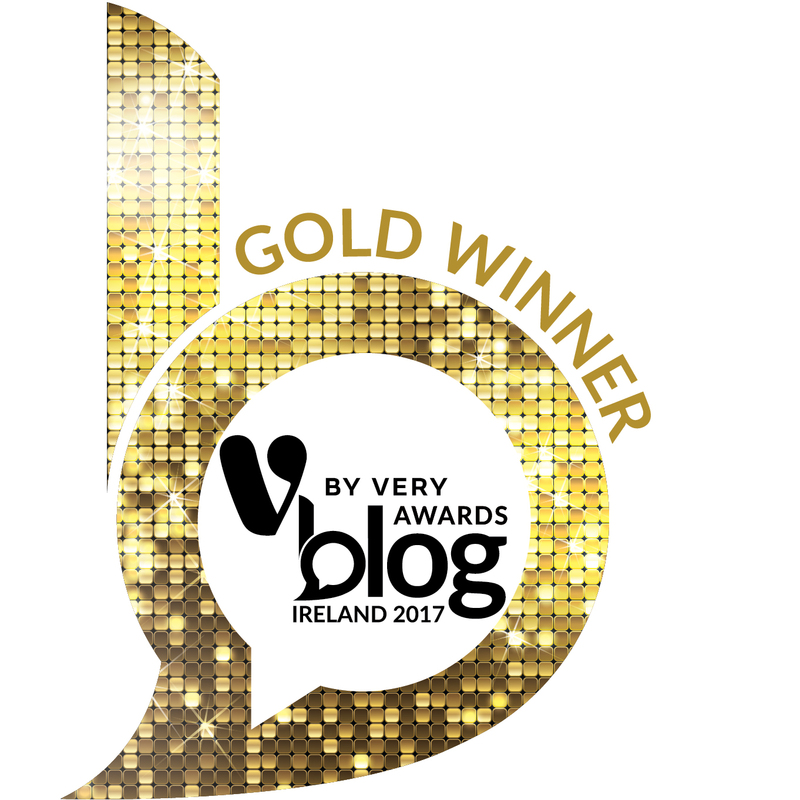 Why do the Irish spell it ‘whiskey’, who will ever know? 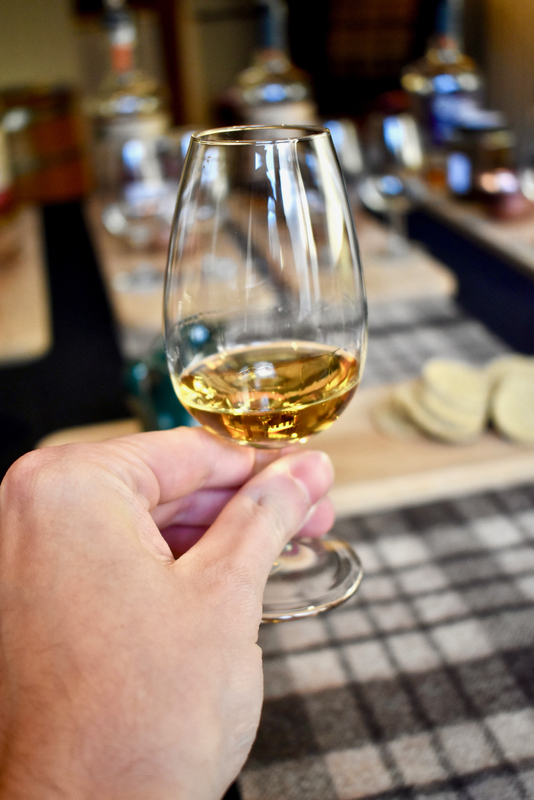 (Apparently it’s down to the translations…) But it would be remiss of us not to entertain their exception to the ‘e’ as when we visited Aberdeen recently we absolutely had to partake in a whisky tasting experience. Caledonia called, and so did her uisge beata. 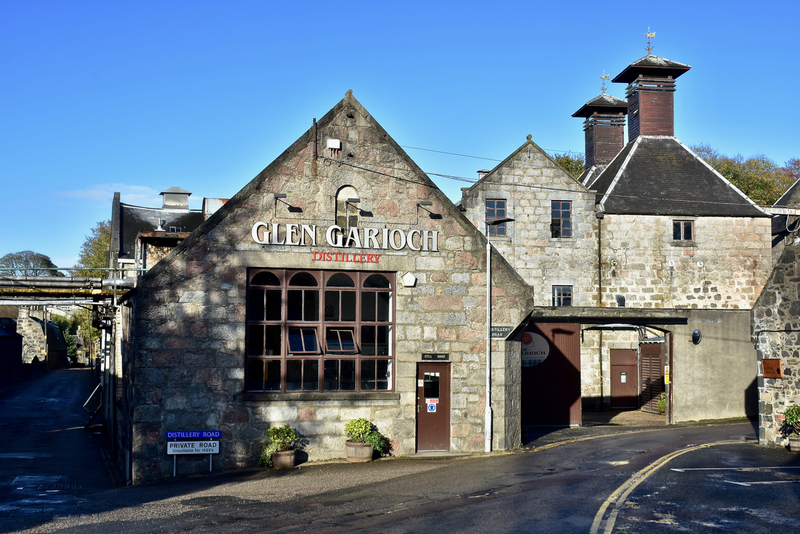 So we popped along to one of the most highly-recommend distilleries, Glen Garioch. In another tale of ‘similar language, slightly different spelling’, us Irish spell it ‘uisce beatha‘. Let’s not split hairs here, especially when discussing the ‘water of life’. 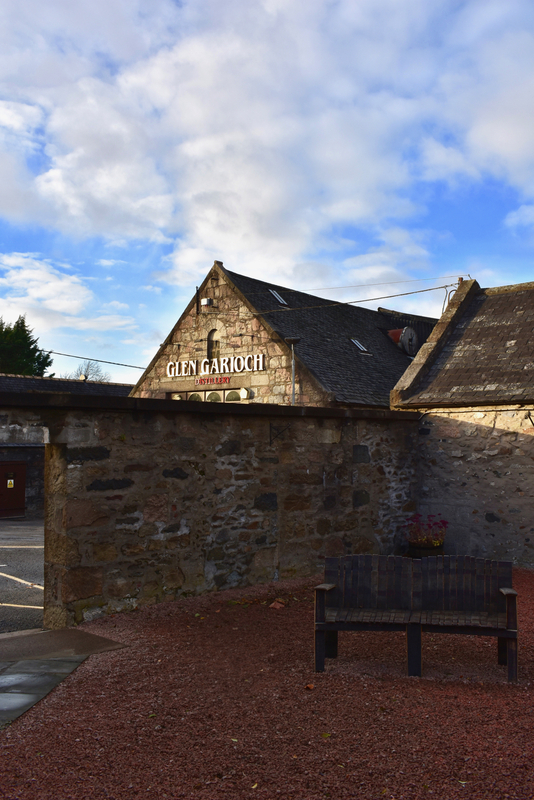 Founded over 220 years in the market town of Oldmeldrum, Glen Garioch is one of the top Scotch Whiskys on the market, in Alba and beyond. It’s a sleepy, Wintery Friday afternoon when we arrive in the village 45 minutes outside Aberdeen. Small granite buildings adorn the winding streets, which wrap around a central square. Sights like this are standard in Aberdeenshire towns set on the Eastern edge of the country. The public bus from the city (£8.20 return per person) drops us at the main square a brisk, scarf-snuggled two minute walk down one of the town’s narrow residential streets leads us to Distillery Road. We’re welcomed by Jane, whom our friend Claire, of Aberdeen-based blog FoodQuine fame, prayed we’d be lucky enough to have showing us around when we caught up over breakfast earlier in the day. 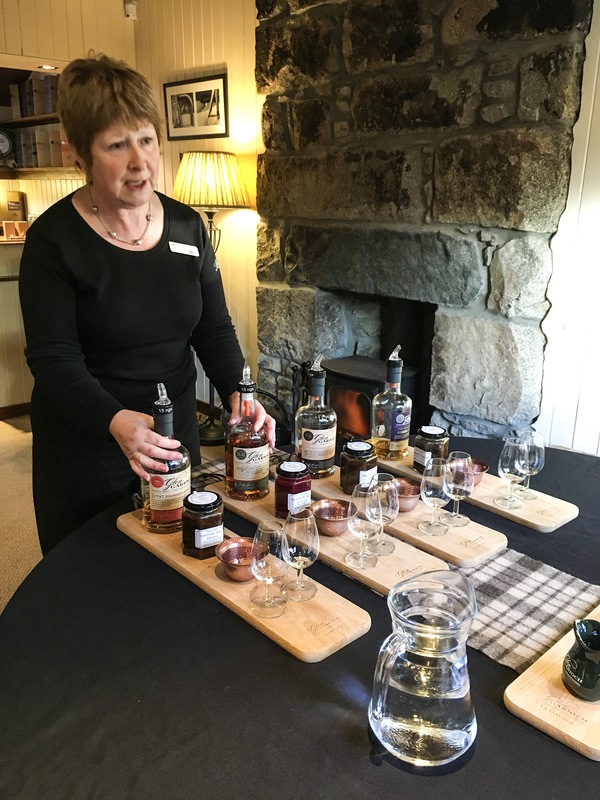 Jane has been part of the Glen Garioch family for just shy of three decades and knows the brand, the story and the process inside out, back to front and from beginning to present day and beyond. 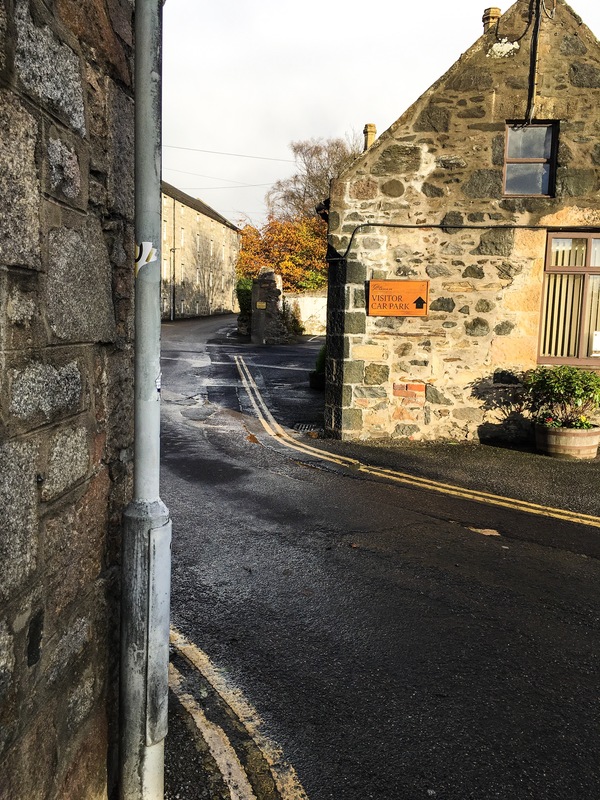 Whisky production actually runs through her family, she explains, her father was a cooper, making barrels for storage, and despite growing up in Speyside, another region of Scotland where whiskey production is a big business, her heart is here at Glen Garioch, she assures us. 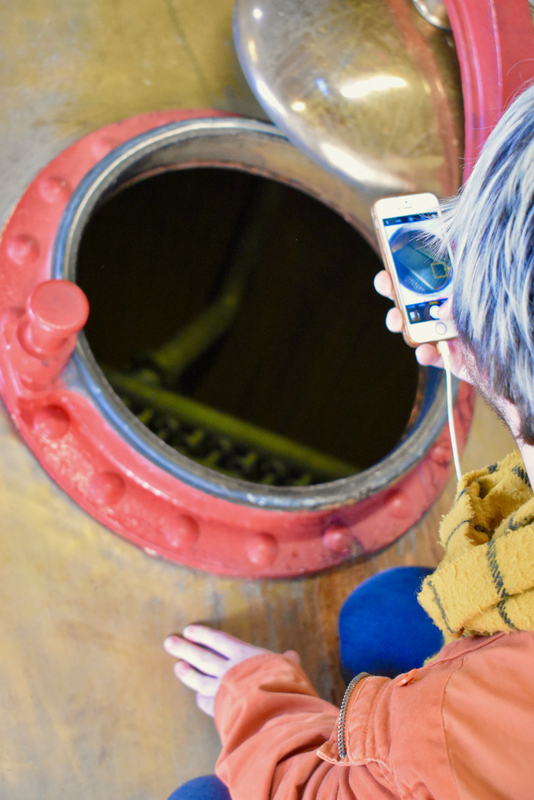 Despite her heritage and working so closely with whisky, she discloses it took her quite a number of years to both enjoy and appreciate the taste of whisky. 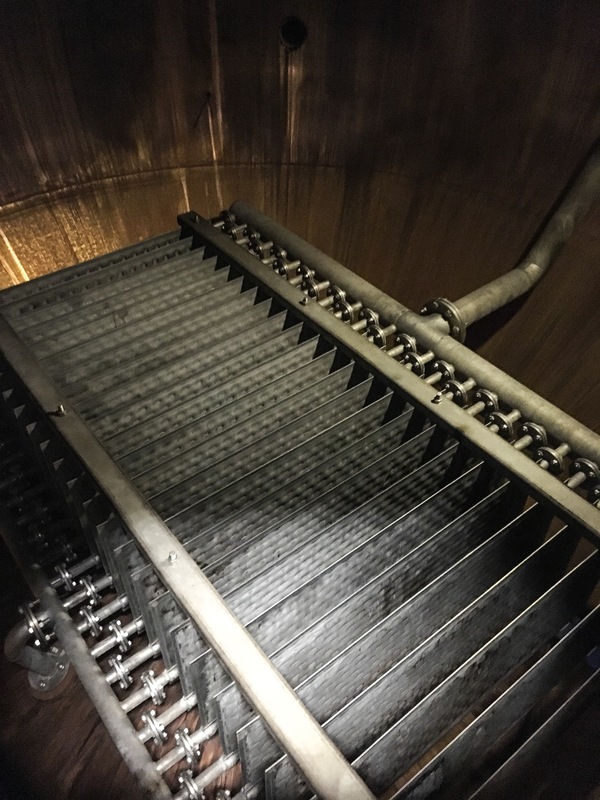 At one point, while standing in the centre of the factory, we lament over our collective love of a decent pint of Guinness. 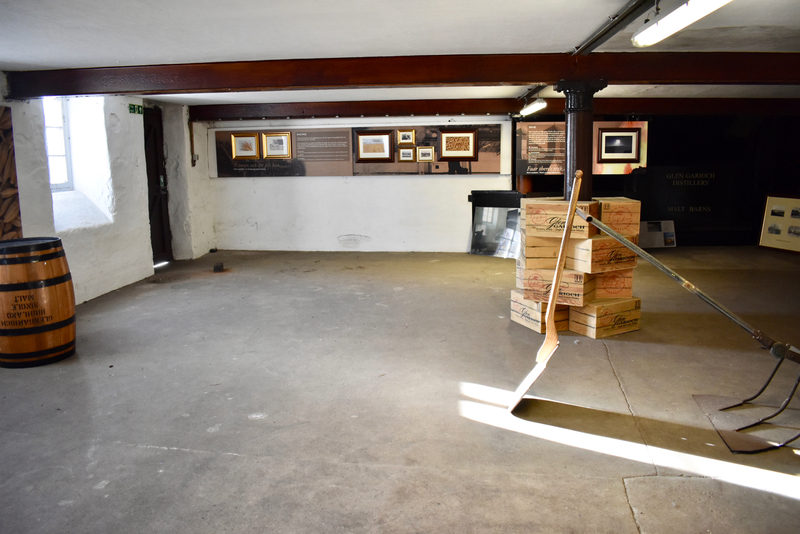 Taking us through the malting rooms – no longer used at Glen Garioch but one of the few left standing in any distilleries in Scotland – Jane explains that from the late 1700s until 1994, barley was malted manually by workers. 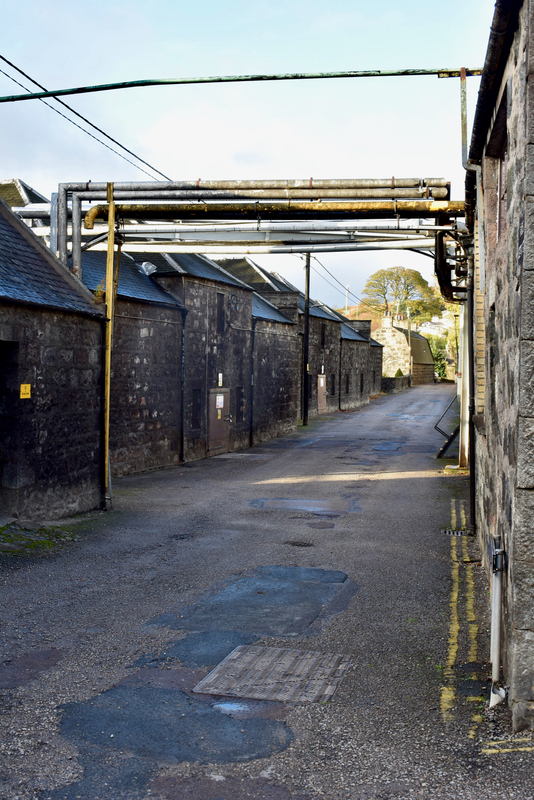 This was a coup as most distilleries in Scotland had foregone the process, outsourced malting to contractors and re-purposed their buildings for other uses by then. Hard to imagine that this vast space, a warehouse building of three expansive floors, would’ve been filled with damp barley, later drained, sprouted and dried out over a three-day process, but it’s still in tact to behold. Jane demonstrates how the tools are used, like the giant shovels workers would’ve tossed malt over one shoulder with. The origin of the expression “monkey shoulder”, in case you ever wondered. 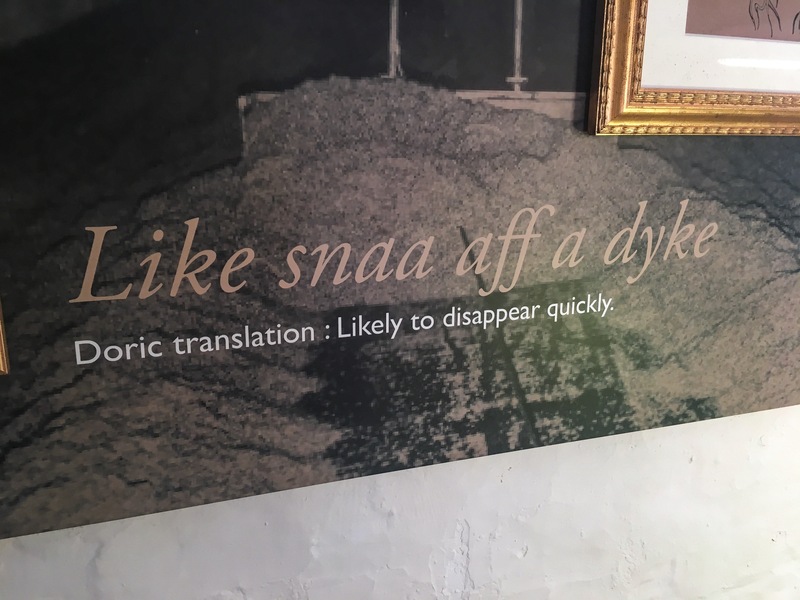 “Like snaa aff a dyke.” Doric phrases punctuate the entire tour, emblazoned upon walls and information boards throughout the distillery. 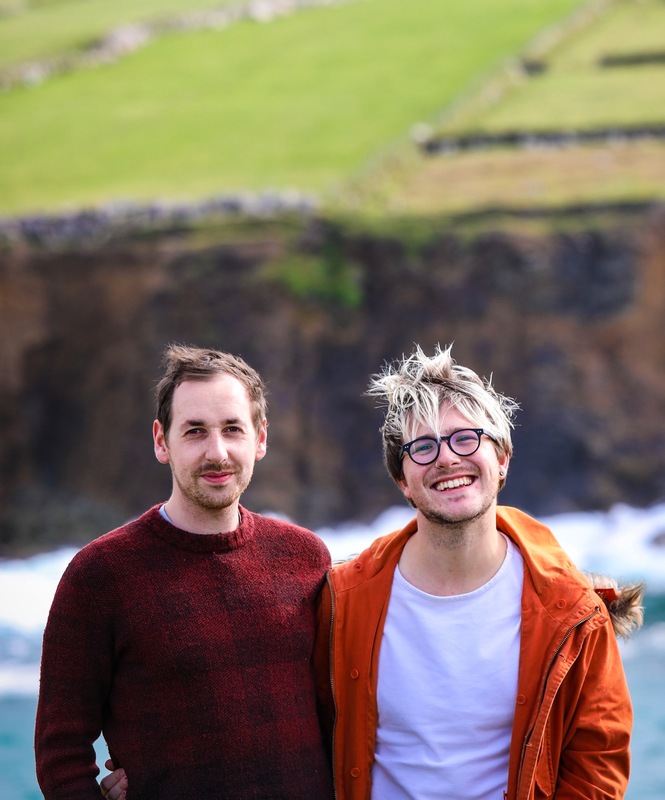 A local dialect in the Aberdeenshire area, Doric is like a mix of olde English and some variation of Scandinavian/north Germanic languages and is poetic, rhythmic and just a touch cheeky. The aforementioned translates loosely as “water off a duck’s back”, whilst another useful one we spy is “Faar there’s reek, there’s heast”, ‘there’s no smoke without fire’. The Vikings must have came and left their language, much the same as in Éire. Peat is a frequent bedfellow with whisky. 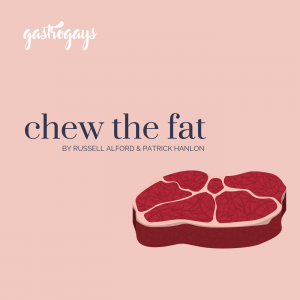 It’s a bit like Marmite – you either love a peated whisky or you hate it. 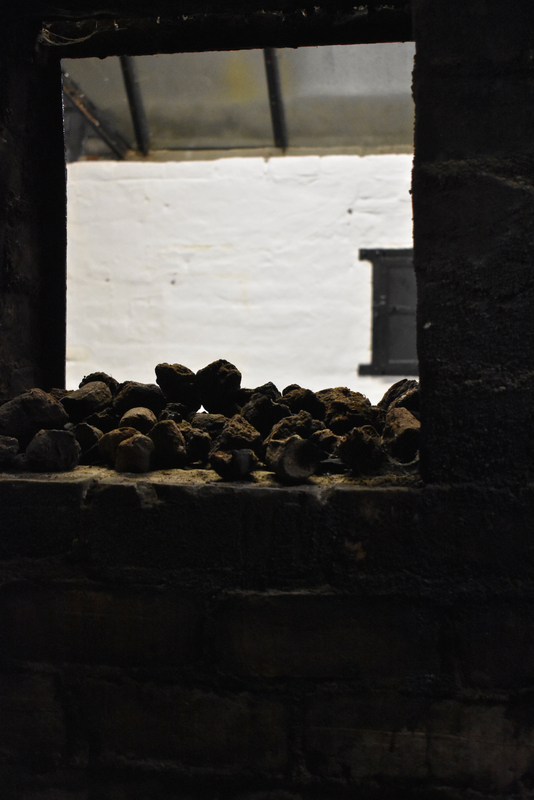 In the old kiln room, the next stop on our tour, the scent of peat hits your nostrils as this was traditionally where warm peat fumes enveloped the grain. Now, for those uninitiated… let’s just say peat is a particular flavour and one you might not ordinarily associate with an amber-coloured ‘water of life’. Peat, or turf, is basically bogland detritus. So, now you know. 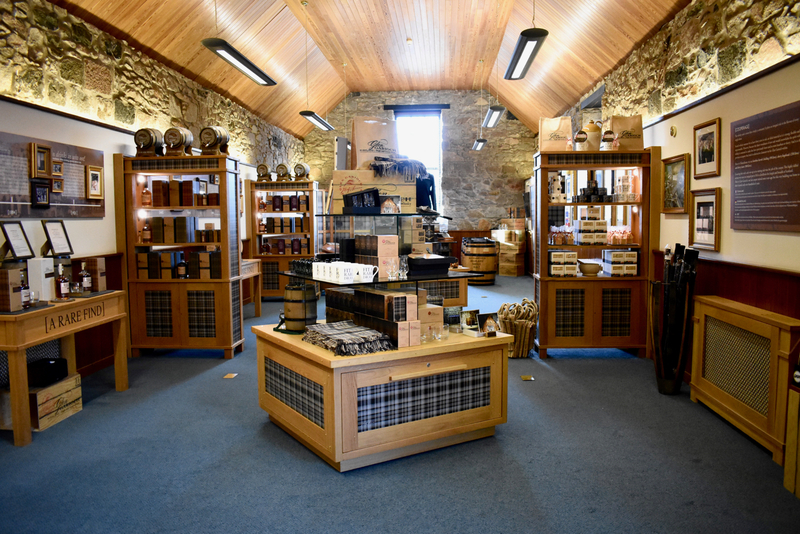 We’re not huge peated whisky lovers, but we might actually soon be converted. Reaching the point just before the real action happens, we visit the milling machine, which chomps down the malted barley to a suitable size. Here’s where each distillery’s product begins to differ, as each one mills to a specific ratio. Think of grinding coffee beans – the size of particles wildly influences the final taste in your cup o’ joe. The machine, a compact but impressive red metal beast, we’re told, is so well-made and reliable that the factory who built them went bust because they had no more business! The alleged self-destruction of products which we’re so accustomed to nowadays (hi, Apple!) doesn’t appear to have crept in to the brewing and distilling industry. 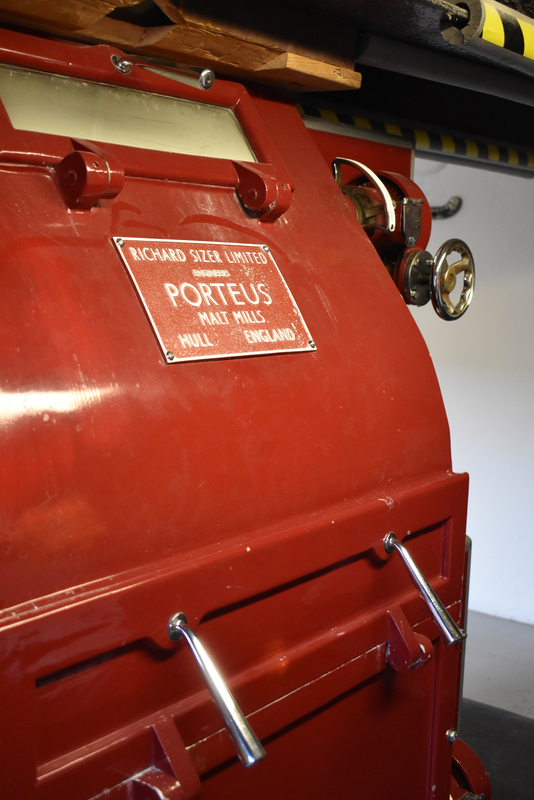 The spirit safe is something we adore seeing in every distillery we visit. Glen Garioch’s is a vision in brass and black, kept – naturally – behind padlock and key, this is a precious piece of kit, after all. 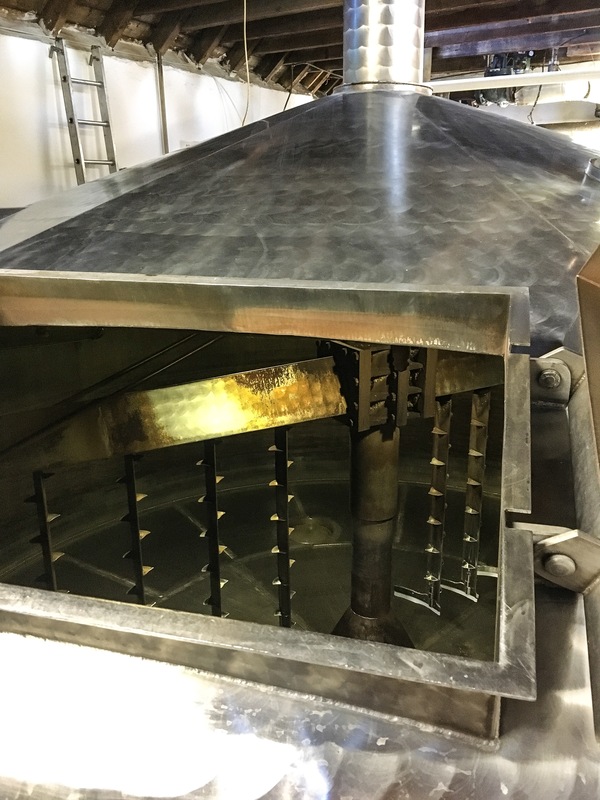 Here, the expert distillers track the progress and can tell the finished product by look and smell alone. Until the 1970’s, the only person who’d have a key to this would be the Customs & Excise Officer, who’d always be present at the brewery, checking everything is above board. Jane told us, as her father told her, that it was common knowledge that if you wanted a particularly good ‘dram’ in the olden days, it was the canny Customs Officer or cooper who held the best loot. The ‘Angel’s Share’ was curiously larger in times gone by. Go figure. Nowadays, while rules surrounding taxation are still strict, C&E officers are permitted to visit unannounced. Then, comes the tasting. 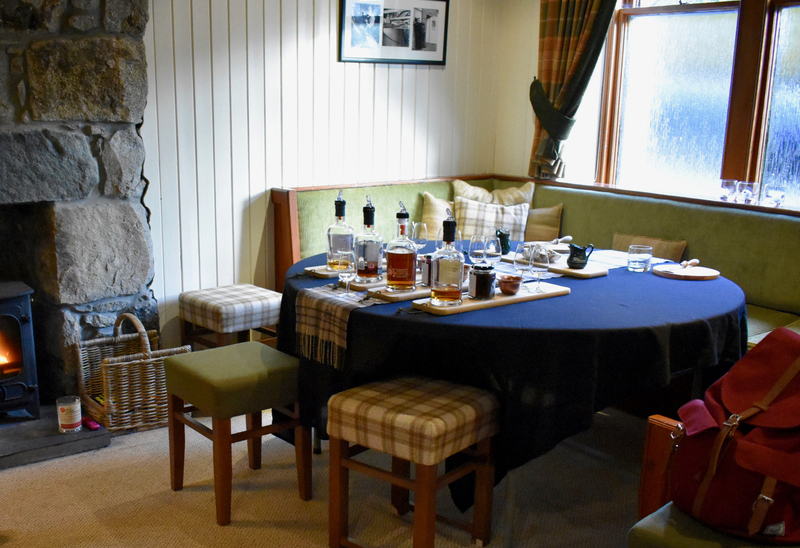 We land in the bothy’s front room, fire lit, a hint of peat in the air and all manner of tartan textures. The table bears the fruits of four varieties of Glen Garioch, served alongside local cheeses (from Lord Arthur, of the Borders through to an Applewood smoked Mature Cheddar from Kintyre, finishing on a Strathdon Blue – as creamy but not as pungent as St. Agur)and artisan chutneys from Huntley Herbs. Flavours include ‘Strathbogie Sizzler’ right through to one made with marrow – the most British of vegetables and our favourite, which was sweet, earthy and spiced with a hint of garlic and coriander. 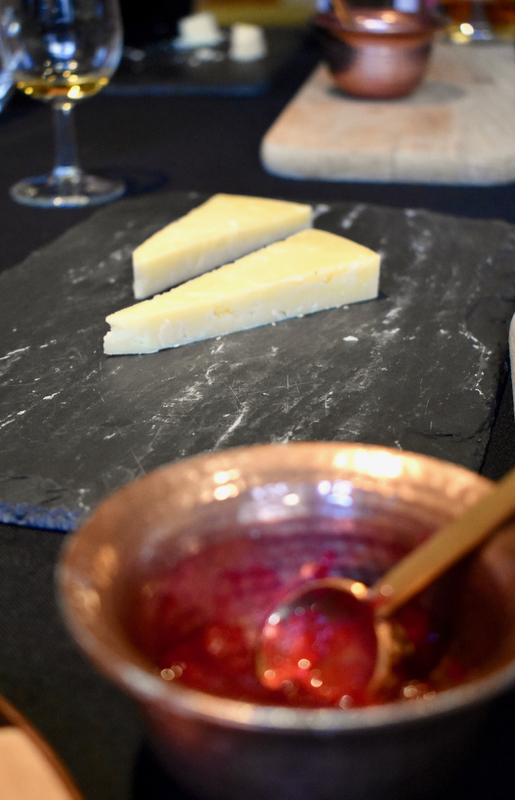 Sipping spirits paired with cheese may not be the most traditional method of sampling, but we absolutely live for local produce matched to local drinks, whether it’s craft beer, spirits or wine. 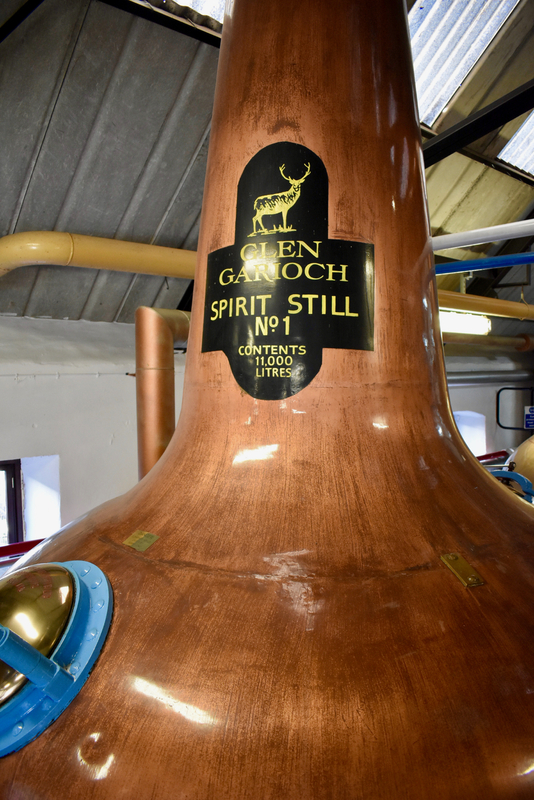 Glen Garioch is proud to be on the smaller scale of production, and likewise proud to support locals doing similar in food and drink production in Scotland. 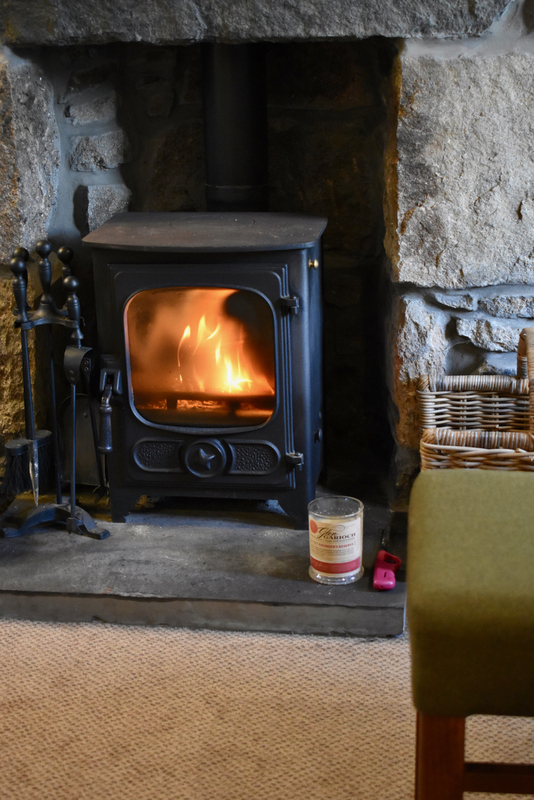 Jelly-kneed and faintly fuzzy-headed, we regrettably have to leave the warmth of the fireplace, but we’re suitably warmed from the inside thanks to the glugs of uisge-beatha, which have been so much more appreciated now we’ve followed the process from beginning to end. 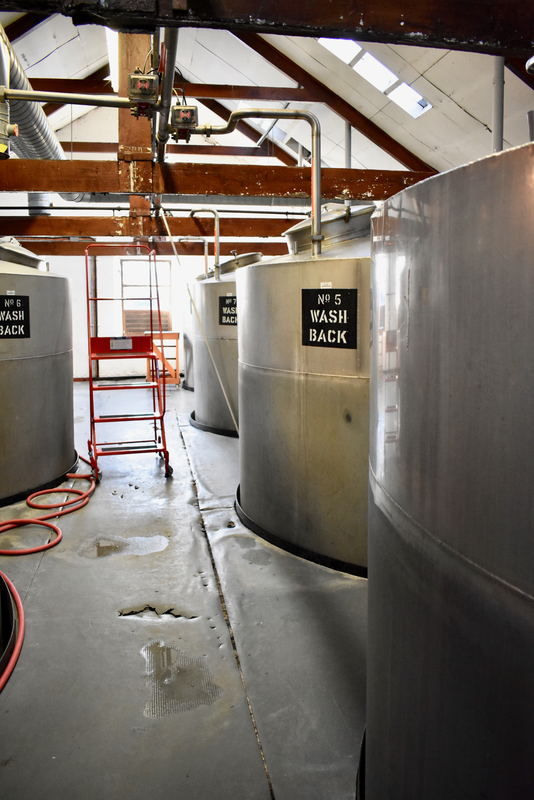 We had a quick glimpse into the stores, one of 4, where thousands upon thousands of litres of whisky is aged in cask barrels and stored, sleeping ’til reaching perfect maturity. Our favourite was the 15-year Glen Garioch, unpeated and aged in Bourbon and Oloroso Sherry casks. Jane leaves us, back at the visitor’s centre on the couches with an extra special sip. 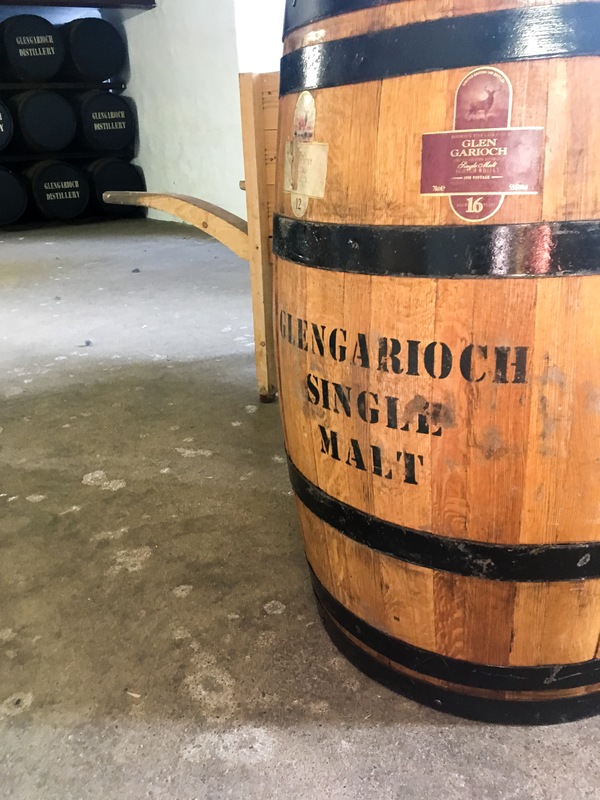 In the store room, we find one barrel beholding a coveted blend, ageing since 1977 and available, if your pocket money allows, for the conservative price tag of £495 per bottle. It might be the most expensive drink we’ve ever tasted. We sip our final wee dreams, all warm and lucky-feeling with a goofy smile on our faces and in complete silence. There’s something about Scottish hospitality. And there’s so much that us Irish and Scots see crystal clearly eye to eye on. 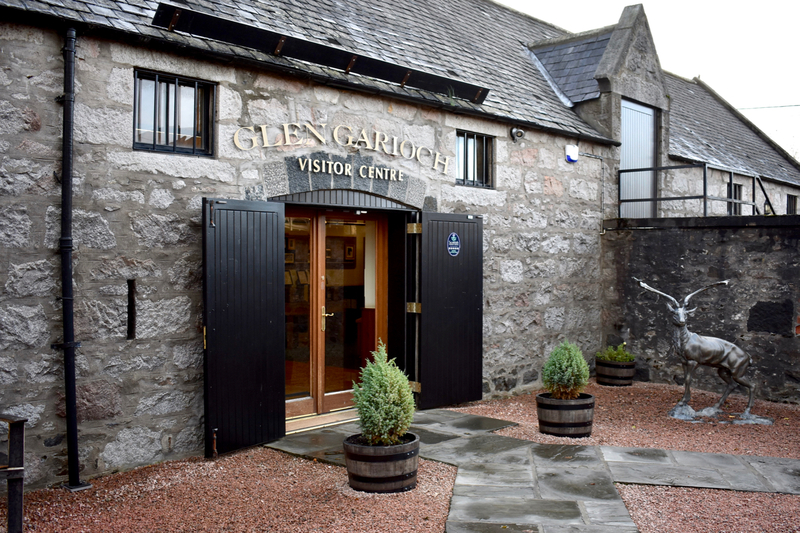 The Glen Garioch visitor centre opened a decade ago and hosts daily public tours for small groups as well as private tours, tastings and events. 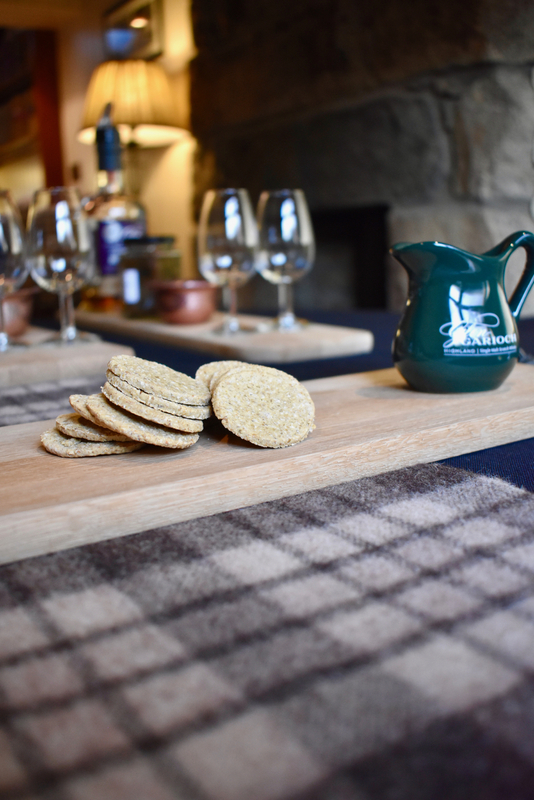 Chose between a one-hour Founders Tour, including a sample of one whisky is £7.50 per person; a Wee-Tasting Tour, 90 minutes tour with a duo of samples and witnessing the bottling process for £15 per person; or add on ‘A Rare Pair’ cheese tasting experience for £40 and must be booked at least a week in advance. Tours are bookable via their website. 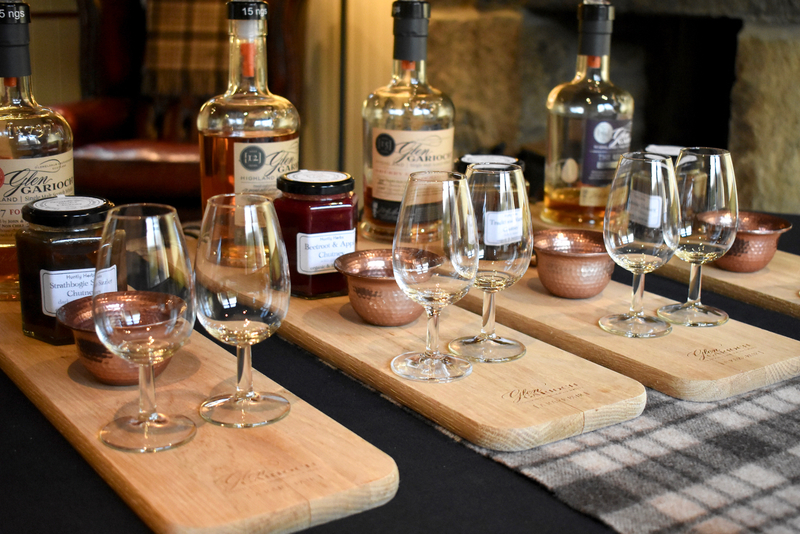 For those fancying a more in-depth and rounded experience, a newer addition is the Legends of The Garioch excursion, visiting the barley fields and distillery, ending with a special lunch at the 800 year-old whisky cave at Meldrum House Hotel (£120 per person). Bus route 35 and 35A will take you from the bus station at Union Square in Aberdeen for £8.20 return. 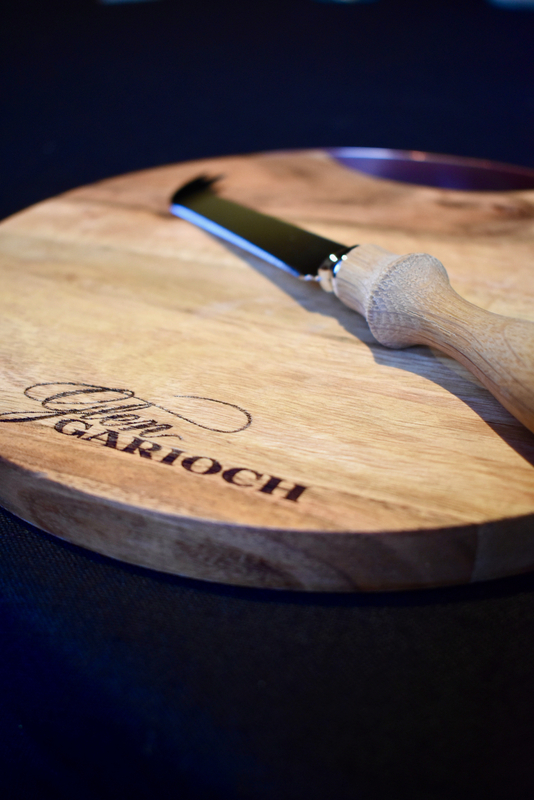 *Disclaimer: We were guests of Glen Garioch, thanks to the team at Visit Aberdeenshire.